The Hashemite Kingdom of Jordan, once captivated ancient travellers, and it continues to enthral a whole new generation of explorers as a modern, vibrant nation. From the haunting, primeval starkness of Wadi Rum (or The Valley of the Moon), to the teeming centre of the capital city of Amman, from the majestic ruins of bygone civilisations to the timeless splendour of the Dead Sea, Jordan reveals itself as a unique destination offering breathtaking and mysterious sights. Jordan’s accommodation is of a high standard, restaurants serve up exquisite cuisine and there are countless activities to inspire visitors. There are some sites not to be missed, like the iconic stone temple of Petra, and the Wadi Rum with its roaming Bedouins and the extraordinary Oryx antelope that appear to survive on nothing. The towering iconic Treasury, Petra’s most famous monument, appears dramatically at the end of a kilometre long chasm. The Treasury is only one of myriad archaeological wonders to be explored at Petra, so do allow yourself some time. Amman is a modern and ancient city at the same time. Its history stretches back to the Iron Age and covers Hellenistic, Roman and Arab civilisations, and recent excavations to make way for new buildings have revealed remains from as far back as the Neolithic period. 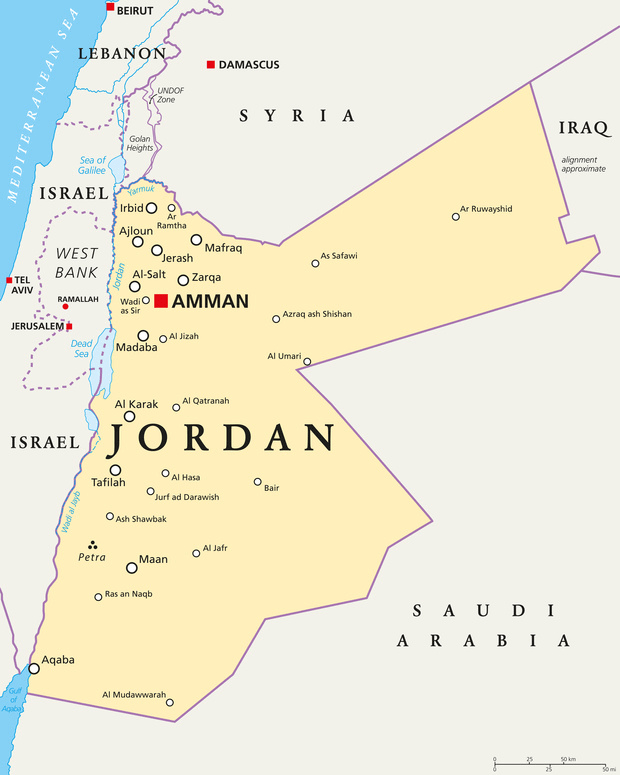 The River Jordan runs down the western side of the country, bringing much needed hydration to the dry banks that run along it, and then drains into the Dead Sea at Aqaba. At 410m below sea level, the Dead Sea is the lowest place on earth. Its coast, the result of natural chemical and meteorological interaction, is one of the most spectacular natural landscapes in the world. Its amazing forms entice and intrigue visitors today. Be sure to lay back and float in its ridiculously salty waters and do try a Dead Sea mud bath or treatment and enjoy its legendary restorative powers.